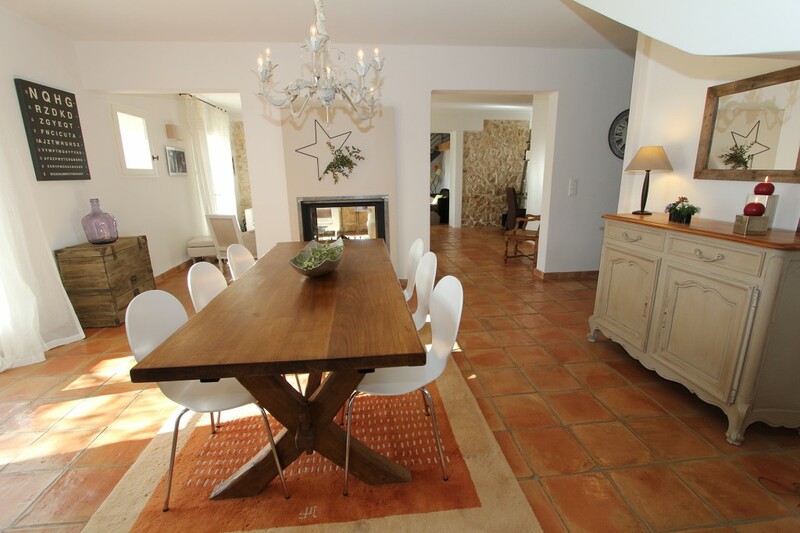 Mas La Sauterelle welcomes you, your family and friends to the heart of Provence in a peaceful and restful setting on the doorstep of Aix-en-Provence’s cultural destinations, sports and tourist sites: the Alpilles, Luberon, Cassis, its calanques and more. 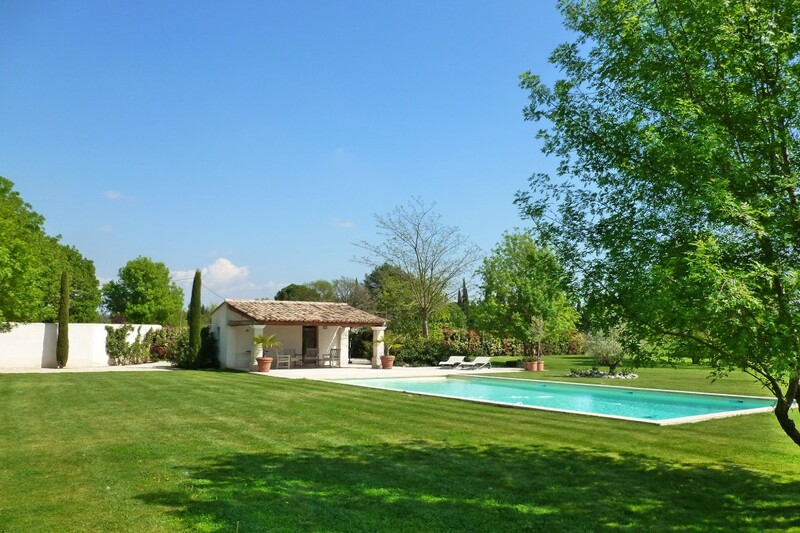 This authentic sprawling 250m² stone Provencal villa has 5 bedrooms, 4 bath/shower rooms and several living rooms where the keyword is togetherness. The villa has been designed as “a home from home” where you can unwind and enjoy your holiday to the fullest. Perfectly nestled in a peaceful setting without being isolated, it has fabulous views of the surrounding countryside. It’s within easy access of local amenities (the villages of Puyricard and Venelles) and Aix-en-Provence old town. The convenient location near the motorway makes it the perfect base to explore Provence. We can also suggest a range of services and activities to make your stay unforgettable. You won’t be able to resist the magic of Mas La Sauterelle and its charming Provencal atmosphere in summer or winter. The many living rooms and outdoor activities make it the perfect place for precious family time or get-togethers with friends (sleeps 10-12). You’ll love basking on the spacious south-facing terrace when summer arrives. Sip your coffee in the morning sunshine, have lunch in the shade of the stunning wisteria, top up your tan on a sun lounger in the afternoon then have a sunset cocktail in the lounge area amongst the sweet lavender. The lounge is the heart of the home. It gives onto the dining room, kitchen and cosy TV room. All these rooms have large windows and direct access to the terrace. Unwind, choose a book in the library, browse the internet, play the piano…the lounge is a calming environment. The double-sided fireplace will give your autumn and winter evenings a warm glow. One of the villa’s 5 bedrooms on the first floor. You’ll feel cosy amongst the exposed beams and stylish furniture. Open the window and gaze into the distance, admire the region’s nature, the villa’s grounds and the beautiful swimming pool.